I've been wanting to comment to you for a while now but wasn't sure what to say...I think I'm ready now. Thank you. 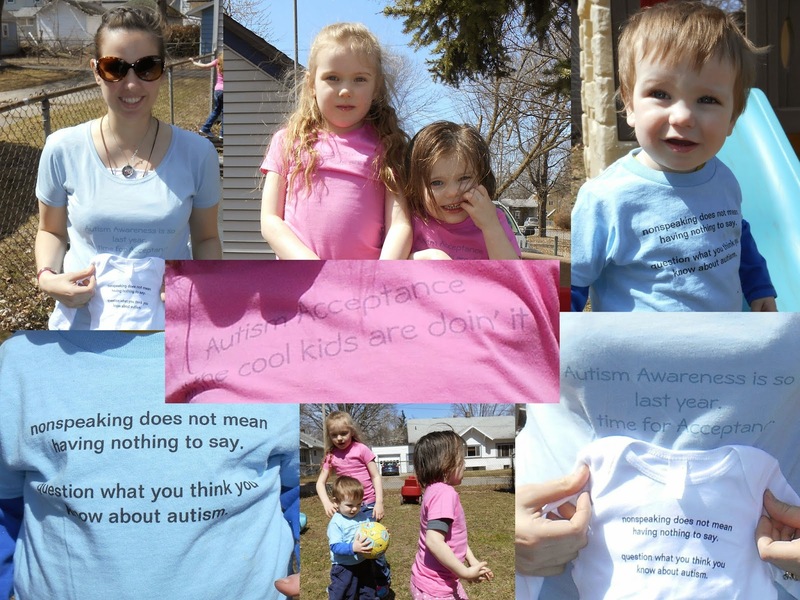 Thank you for talking openly about Autism, and talking about it the way you do. You have given me a greater understanding. Reading what you have to say is refreshing when we are bombarded on a daily basis about Awareness and the search for a cure. I am so thankful for what you write, your voice on this topic, and your acceptance of Autism. God bless you and your sweet family. I'm writing about your posting on Facebook about the herbs surviving winter. Yep, the snow probably protected them MORE than if there was none and they had to weather the brutal cold bare. The snow cover keeps them from being exposed to the wind which lessens the drying out, and the frozen ground keeps them from heaving (and dying) as they might in a thaw/freeze cycle of a warmish winter. Also, you can tell what the herb is just by plucking a leaf, crushing it, and smelling it, but I would guess it must be the oregano that survived, because that is a perennial, and basil is an annual (I think). I just love when these herb plants green up in the spring, and there they are, in all their goodness.